Magnetic switch w/jog button, air belt tension 40-50 psi reqd. 8″x12″ cast iron table, adjustable angle, 5/8″ slot for mitre gage. 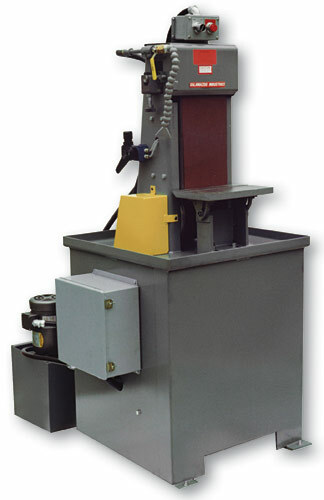 Model: # S8W, 8″ x 60″ Wet vertical belt sander. 760 lbs.